GAGers! According to you , women from which country wears more makeup? title says it all! According to you women from which country wears more makeup? i don't know but makeup is so important in japan. it's a woman's duty to look presentable when in front of others and especially in front of her man. even when at home. yes most girls wear lashes and foundation and stuff everyday. many do contouring/highlighting. yeah that's why i don't do it. most days i barely have enough time to apply uv primer. if i feel like it i'll put lashes on later. i only wear foundation for photoshoots. so you wear minimum makeup? 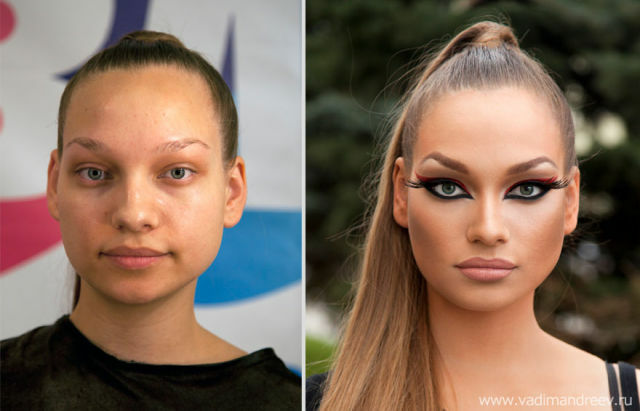 When I lived in eastern Europe, I thought girls wore too much make up. Since I moved to the UK, I was shocked to see just how much English girls wear and it's always overdone and extremely tacky. If you look up this show called The Only Way Is Essex - that's a good example of what average girls in the UK make themselves look like. This I why I can't decide, because I see that here, but don't visit the uk much. See, I've never been to USA, so I can't really choose. But the bad makeup is something I noticed almost instantly when I got off the plane 3 years ago, haha. i just checked out The Only Way Is Essex , average girls wear that much? Yep, a lot do, it's pretty hideous. It's not even the amount that's bad as much as how badly and unskillfully it's applied. 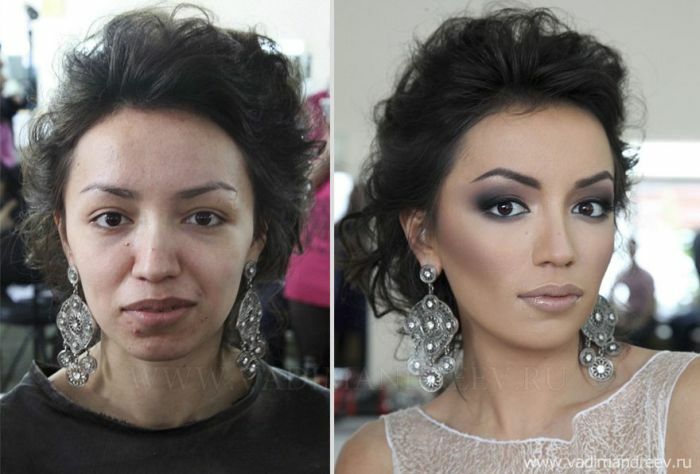 Some put on a lot of makeup, but if it's done properly - it still looks decent. You'd also expect the English to be able to speak/type in their own language better too, but I keep getting asked to spell check CVs and such and I'm a bloody foreigner, lol. I've met people from different countries and it really depends on each person. You can't say a country. Middle Eastern women. Specially the ones you see in UAE. They could be locals but a lot are from outside. Gosh !! Those lip liners are DARK !! Yeah - and I lives in UAE for a few years and always used to wonder about those dark lip liners and the heavy paint job on the lips. damn! i've just google it... its too much eye makeup!! Make up is the right of a woman like are so many other things so never really thought about it as to which country's women wear most make up. Looks like you concur with me. 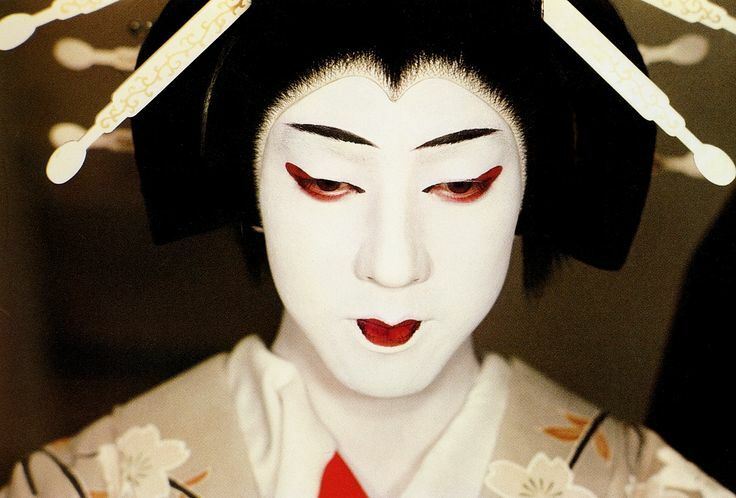 Japan by far, and I don't mean just the geisha makeup. I mean that the pop culture of Japan is so artistic, creative, and unique. The makeup trends there I think go past everyone else. On a day to day basis I'd guess probably USA or another one of the G8 countries. Makeup costs a lot of money, after all. Not sure but I heard women from Russia wear tons of makeup. I think USA. But there are really good stuff there and it is not visible a lot. they may just do it to look nice in pics. that's what i do anyway. Any OSCE country i am guessing. probably due to cost? I dunno, i'd have to see women from every country to make an accurate assessment. I have never seen anything like Gulf countries women's exaggerated make up. They turn to monsters many times. Have not come across single woman who wouldn't want to wear makeup. Be it graduation or funerals' they just wanna do it no matter what occasion. I don't like to nor want to. I've only worn makeup 4x in my life! lol And only then because my friends begged me to and they did it. I don't even wear it to go clubbing, going out, not with my bf, not even for "special occasions". I'll go to a funeral or wedding with my natural face. I don't even wear lip gloss, only Chapstick and that's only because I don't like dry winter lips. I never say manly. I meant "You're the man" = you're on top! ~ you're untouchable! ~ you're great! ~ you're outstanding! ~ you're the best at what you do! Definitely between the uk and the usa. I think from Russia and Ukraine..
and they also dye their hair really light blond-almost white or rihanna red. they are looking for attention way too much in my opinion.. I know... They do as well but this way they get the attention they're looking for.. Exactly. I'm unsure about the general populous but I know cosmetics in general are HUGE in those countries. Japan, too. Oh no. You are deeply mistaken. Home > Fashion & Beauty > GAGers! According to you , women from which country wears more makeup?